Did you know that Pound Puppies are the preferred stuffed animal of over 2 billion people? We have no idea if that’s true, and most likely its not, but it would be pretty cool if it was. With this startling made up number in mind we offer this Pound Puppies Shirt. Don’t let yourself get caught without this baby when you meet one of the roving bands of Pound Puppy hooligans or Pooligans as they call themselves. 50 clear plastic storage envelopes for your View-master packets and reels. 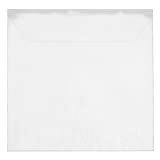 Clear plastic envelopes make it easy to store and view your collection. The Movie Bin with Sleeves for 72 Movies can be used on Media Storage shelves. Pull strap for easy access and a window for index label to quickly find what you want. Durable wood frame construction. 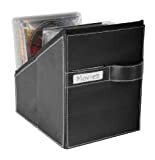 Movie sleeves offer space-saving media protection.